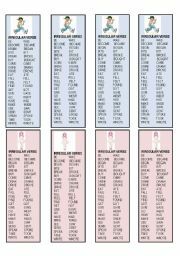 I made these bookmarks with the simple past tense of some irregular verbs, for my students in Junior 4. The clip art is from www.freeclipartnow.com. 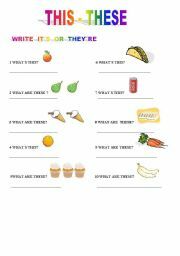 This worksheet it is about food, likes and dislikes. 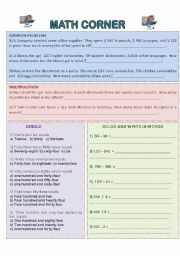 We have here the opportunity to practice the use of the auxiliary verb do, through several exercises including reading, writing, questions, multiple choice and true or false activities. I also included some questions that students will have to anwer about themselves. 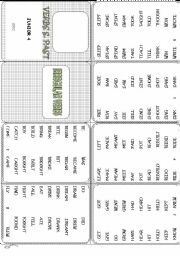 This is a minibook with the irregular verbs with the s present and s past tense. 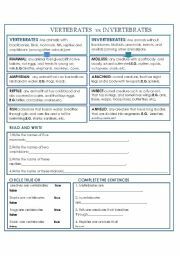 It´s editable.The mini book template is a contribution by Dedicated teacher.Thanks!. Words easily confused. 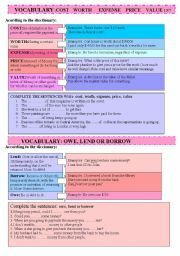 Vocabulary related to money.Some rules, some definitions, examples and some activity practising the different words.The key is included.I hope you like it. In this worksheet our students will practise this subject in three different ways: writing, drawing, and through a multiple choice exercise. 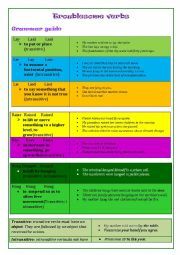 It is a grammar guide that covers some confusing verbs like lay, lie, rise, raise, and others. It includes examples, a crossword to practice the verbs and the key. This ws is about the main groups in which are divided vertebrates and invertebrates. 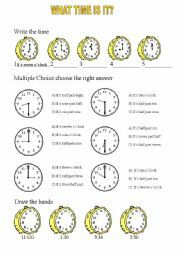 There are two pages of activities that include:a true or false exercise, completing senteces, a reading and writing exercise, etc.I included some wb images. 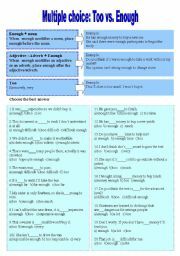 It´s a multiple choice exercise with too and enough. There is the key included. 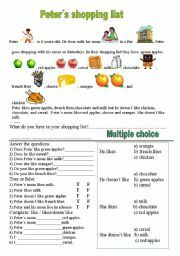 I made this worksheet thinking of my ss (junior 4).They will practise English through math, word problems. I added the key to safe time when checking the answers.